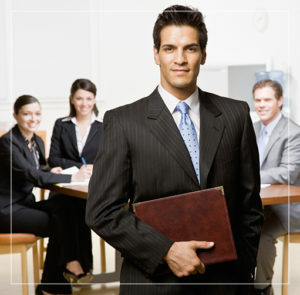 1993- Risperdal is approved by the FDA for treatment of schizophrenia in adults. April 2005- A black box warning is added to Risperdal’s label after the FDA determines that the use of the drug among the elderly with dementia is associated with increased mortality. August 2007- The FDA approves Risperdal for treatment of schizophrenia in adolescents and for short term treatment of manic episodes of bipolar I disorder in children and teens. November 2008- The Wall Street Journal reports that Risperdal can stimulate the production of prolactin, a hormone involved in lactation. A co-author of the 2006 Duke University study also claims that Risperdal side effects in children can’t be considered harmless. July 2010- 21-year-old man who was treated with Risperdal between 1999 and 2004 files a Risperdal Lawsuit in Pennsylvania, alleging suffered emotional trauma from gynecomastia. When the man was taking the drug, it was not yet approved for use in children. June 2011- Johnson & Johnson issues a recall for Risperdal after consumers report an uncharacteristic odor associated with the pills. August 2012- Johnson & Johnson reaches an $181 million Risperdal Lawsuit settlement with 36 states and the District of Columbia over its marketing of the drug. State and federal prosecutors claimed that the company promoted Risperdal for uses it did not have approval, including treatment of children. 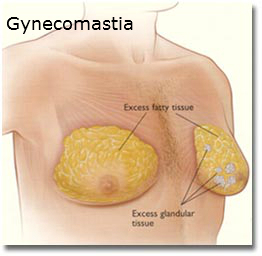 September 2012- Forbes reports that a Risperdal gynecomastia settlement was reached just before the case went to trial. This allowed Johnson & Johnson to avoid testimony by CEO Alex Gorsky .From October 2001 to early 2003, Gorsky was president of the company’s Janssen unit, during which time he was directly responsible for selling Risperdal. September 2012- Of the 420 Risperdal cases filed in the U.S., 130 of those cases reported instances of gynecomastia. October 2012- Five more Risperdal gynecomastia settlements are reached with Johnson & Johnson. November 2013- Johnson & Johnson agrees to pay $2.2 billion settlement for Risperdal. The company paid criminal and civil fines to settle accusations that it improperly promoted the drug to older adults, children, and people with developmental disabilities. This is the third largest pharmaceutical settlement in U.S. history. February 2015- Johnson & Johnson lost a case for Risperdal, resulting in the company having to pay $2.5 million in damages for failing to warn that Risperdal could cause gynecomastia.